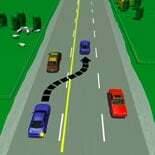 When can you pass another vehicle to its left? 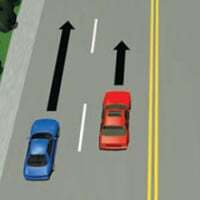 When are you allowed to pass another vehicle to its left? Select all that apply. When are you allowed to pass another vehicle to its left? Select all that apply. Then you need to judge distances. 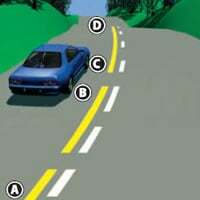 As in the question above, you need to be able to see 100m of clear road ahead of you once you have finished overtaking, so you will need to judge your potential acceleration vs the speed of the vehicle you’re overtaking. The only time you can overtake when there is a yellow no-passing line is if the lane is wide enough for two vehicles, you can see 100mm of clear road in front of you for the whole time you are passing, and you stay on your side of the yellow line.